On March 20, 2013, The Working Group (TWG) hosted a buzzing event ‘An Evening With Everlane” at their 425 Adelaide Street West office in Toronto that attracted a gathering of start-ups, crowdfunders and fashion goers to hear Michael Presyman, Founder of Everlane, an on-line luxury clothing company, talk about his company’s unique Canadian launch campaign. Everlane is a new kind of retail experience, one that exists 100% online and bypasses all middlemen to create beautiful designer goods at truly disruptive prices. To gear up for their expansion into Canada, Everlane launched an innovative crowdfunding campaign that aimed to raise $100,000 in pre-orders and credits from Canadian consumers by March 21. Join Everlane founder Michael Preysman at TWG on the final night of #CrowdFundCanada to learn about life at Everlane and find out just what went into making this successful crowdfunding campaign happen. 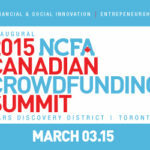 NCFA Canada caught up with Michael Preysman a few minutes before the event to talk about crowdfunding market validation and research, breaking new ground and brand strategy. Michael Preysman is the founder and CEO of Everlane. Prior to starting Everlane, he was an investor at Elevation Partners for both their New York and Menlo Park offices investing in media and entertainment companies. Michael enjoys sitting at the intersection of design and technology. He graduated from Carnegie Mellon with degrees in Computer Engineering and Economics. TWG is an Internet software company based in Toronto. We design, build and maintain web and mobile applications for a growing list of happy clients. We also incubate startup companies and host technology events for our community. Our mission is to be the best software company in the world to learn, work, and grow at. Follow TWG on Twitter or join us on Facebook to stay up-to-date with all of our events!